Cruise north along the Grand Union Canal through charming villages through the Braunston Tunnel to the historic wharf at Braunston. 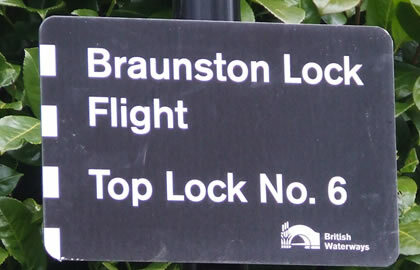 Braunston lies at the junction of the Grand Union and Oxford Canals in a rural setting on the border of Warwickshire and Northamptonshire, between Daventry and Rugby. At Gayton Junction turn right down the Grand Union Canal. Soon you will pass the village of Bugbrooke, and the Wharf Inn is by Bridge 36, or there is a couple of village pubs if you walk into the village. Bugbrooke is 1.5 hours from Gayton. You will probably want to move on & head for the village of Weedon which is just over 2 hours from Gayton & ideal for a 1st nights stop, there is a small aqueduct over a road as you approach the village. There are takeaways, stores & pubs in Weedon , you can moor up near the Church . The Heart of England pub by bridge 24 is a good family pub. Just before you get to Weedon is the Narrowboat Inn beside bridge 26, with canalside seating and mooring. There is a selection of antique shops here which are well worth exploring. A short while after leaving Weedon you will pass Brockhall Park on your right, (access from Bridge 18). The Hall here is Tudor in part, and in the Victorian courtyard farm buildings has been established The Heart of the Shires Shopping Village). The Shopping village has about 25 widely ranging shops, including a tearoom, so is well worth a visit. 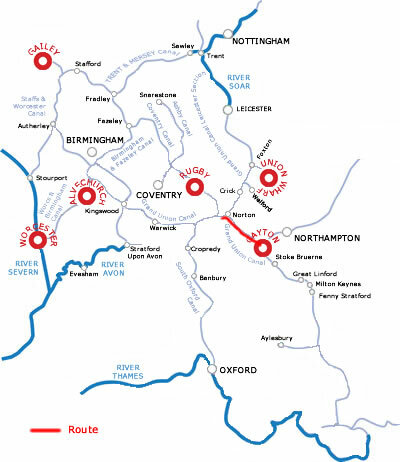 It is 6 hours cruising from Weedon to Braunston, and those on a 3 night trip should head back to Gayton on the last day (8 hours).